The Bishop of Monmouth has announced that our Vicar Fr Mark Soady will be one of the twelve Canons of the the Cathedral Church of St Woolos, Newport. Bishop Richard in appointing Fr Mark noted that his ministry has “encompassed many aspects of Diocesan life and further afield”. 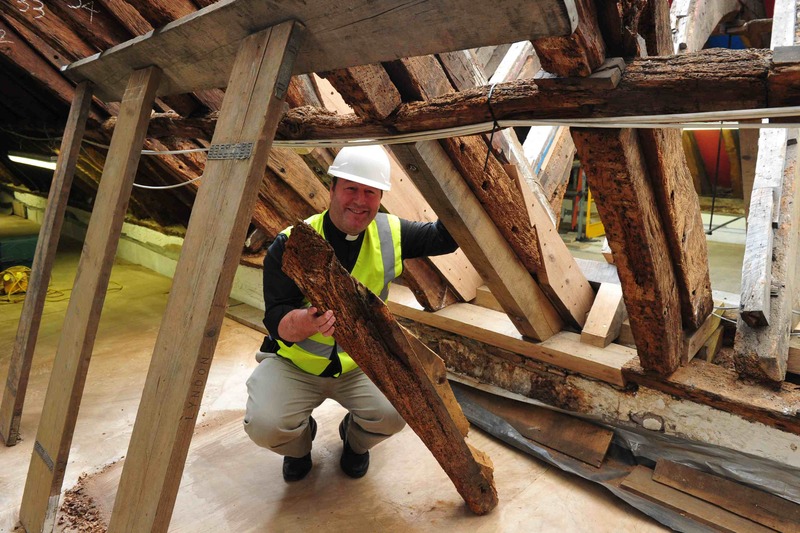 In accepting the new role Fr Mark stated that he had “served the Cathedral to the best of his ability for over 10 years as Minor Canon, as Honorary Priest Vicar, and especially as the public face of the one Million pound restoration appeal until 2012”. He committed himself to “continue to play an active part in the life of the Cathedral ” in his new role as Canon. 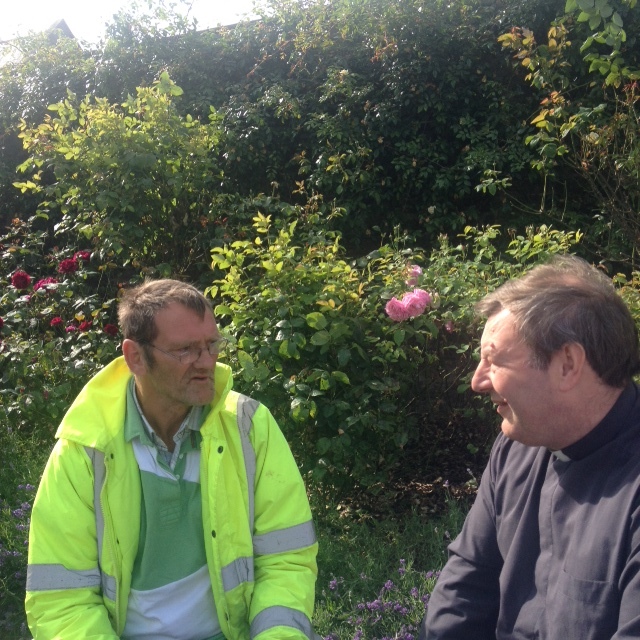 Fr Mark will continue to serve as Area Dean & Vicar of Abergavenny. He will be Installed as Canon at the the Cathedral at 6.30pm on November 16th. 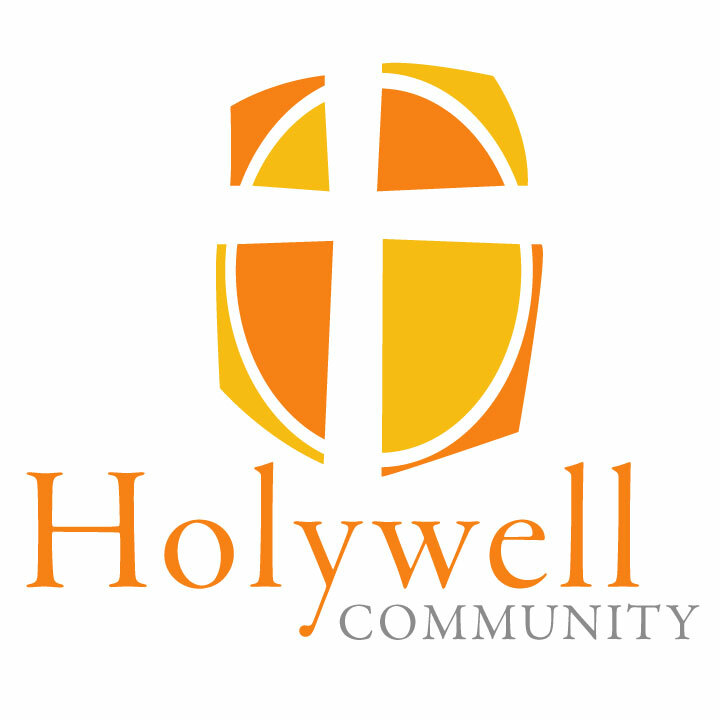 The new Holywell Community will come in to being in early September. Following a 36 hour retreat led by Bishop Dominic Walker OGS, a member of the Anglican Advisory Council on the Religious Life, the Bishop of Monmouth will Licence Fr Mark Soady as Prior , and commission Ami Pope and Sam Paterson as members of this new monastic community at 6pm on September 2nd. A Benedictine Priory was established on this site in 1087. Commenting on the new Community Fr Mark said, ” My predecessor, ever conscious of the Benedictine roots of St Mary’s, instituted monthly Monastic Days. When people from the parish and further afield could spend a day in the routine of a Benedictine monk- praying the hours and doing outreach work. When I arrived here two and a half years ago I looked at ways that the Benedictine Rule of Life could pervade the life of the parish on a day to day basis. My then colleagues and I came up with the idea of a new Monastic Community in the Spirit of St Benedict”. The Community members will life together in a house on the Holywell estate , having “everything in common”. The above services are held in the Priory Church and are open to the public. Compline is said by the Community privately. Although Abergavenny is thought of as a wealthy town the north of the town is the poorest area in Monmouthshire. This juxta-position of wealth and poverty make it more marked. Various community needs (of Abergavenny N in particular)have been the focus of our research and centre mainly on the most deprived electoral ward(s) in the county of Monmouthshire; namely part of the Mardy area (Mardy 1 – the most deprived in terms of the WIMD 2011 rankings – sits in the top 20% overall), Lansdowne (in the top 30% of most deprived areas) and in some respects, the area of Croesonen (in the top 40% overall but in the top 10% of the WIMD rankings with regard to the physical environment). The outworking of some of the issues around deprivation has tangible consequences for other areas of Abergavenny and community life in general, particularly with regard to the town centre and its access points. The work of the community has been targeted towards these consequences, both from a town centre and an ‘at source’ perspective.